Google announced support for Kotlin in Android at Google I/O 2017, but many of us aren’t sure what makes Kotlin a preferred choice over more than 20 years old programming language. The topic has been gaining popularity over the past year to declare Kotlin as an official language for Android development. Kotlin plugin is bundled with Android Studio starting from version 3.0, on older versions you can install Kotlin plugin separately. It targets to bring freshness to the old features in Java with some basic differences and no limitations. It offers a potential replacement to Java programming for all kinds of development on the JVM. As it’s 100% interoperable with the Java language (meaning you can use Java frameworks and even mix commands from both in your code), developers can choose to use as much or as little Kotlin in projects as they like and because it has a relatively small standard library, it’s suitable for development on mobile devices with limited resources. Let’s take a look at the five things you need to know about ‘Kotlin: The Latest Powerful Language to Streamline Android App Development’. How is Kotlin different from Java? Kotlin eliminates null references for example and it doesn’t have checked exceptions – both of which can save developers from head crunch. As you’ll see, various new features of Kotlin also allow us to get rid of boilerplate code too, resulting in leaner and more readable programs. A Kotlin application runs as fast as Java, thanks to very similar bytecode structure. With Kotlin’s support for inline functions, code often runs even faster than the same code written in Java. For a Java developer, getting started with Kotlin is very easy. The automated Java to Kotlin converter included in the Kotlin plugin helps with the first steps. Kotlin Koans offer a guide through the key features of the language with a series of interactive exercises. Avoid entire classes of errors such as null pointer exceptions. Get rid of those pesky NullPointerExceptions, you know, The Billion Dollar Mistake. Kotlin is 100% interoperable with Java, allowing to leverage existing libraries for JVM, Android and the browser in a Kotlin based application. This includes annotation processing, so data binding and Dagger work too. Means Kotlin can call Java, and Java can call Kotlin. In our next blog, we will discuss in brief some of the advantages which Kotlin offers over Java. Kotlin is a perfect fit for top Android developers to embrace while building exemplary Android apps. It’s a statically typed programming language for modern multiplatform applications and offers a whole new work experience. Other than the whole new experience, Kotlin also offers some great methods explained above to make great cuts on unnecessary burdens. The code written with Kotlin is simpler than the Java equivalent, even when it references the same libraries or classes. It makes debugging a breeze. Nope, Kotlin only complements Java. If anything, Java is being made stronger and better with the newest versions of Android and Android Studio. As mentioned above, Kotlin and Java are closely related at their base and adding support for Kotlin makes Java better. Kotlin brings some changes required to break the monotony in Java. Apps could only look better because a developer has more time to work on the UI, but functionally Kotlin and Java are compatible and will look the very same. It is difficult to recognise any differences in terms of functionality. Do you want to develop your next app in Kotlin? Off course, you must be intrigued to explore more features of the latest language introduced by Google at I/O 2017. Gain an insight to develop your next app with the help of our top Android developers. 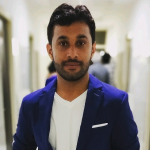 At BrainMobi, we welcome such changes with training sessions, quiz competitions & PPT presentations to groom our team to combat any coming challenges. We will soon publish the next edition to this blog with focus on highlighting the advantages of using Kotlin over Java. 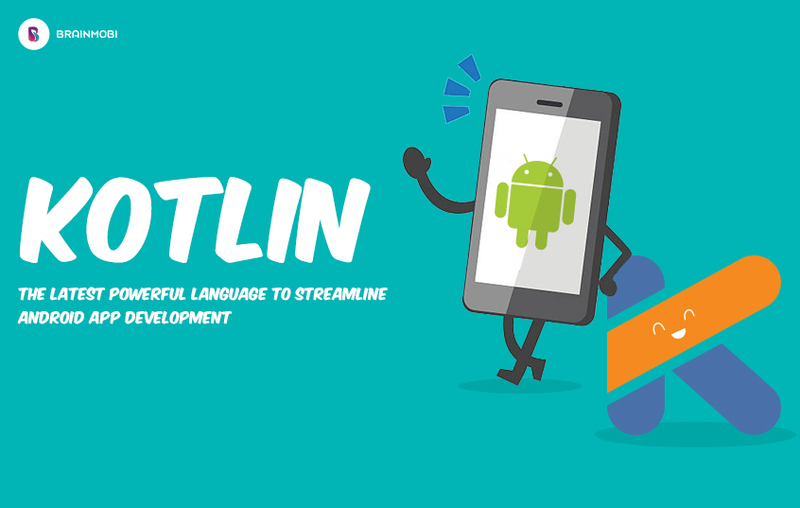 Till then, let us know your point of view on using Kotlin for Android app development. Let’s start the discussion now ! !